Yup, can't get enough Yellow!!!! 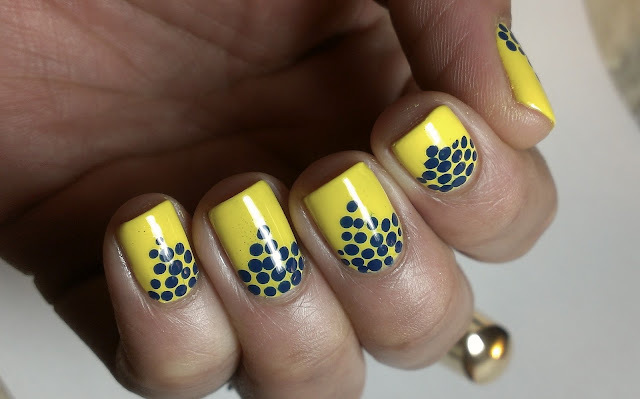 This was a super simple and quick mani :) It looks bright ready for summer! Bobby Pin for a dotting tool! Love this! Dotted manicure always manage to look amazing! I love dotticures!!! Love these two colours together! It's gorgeous, simple but really eye catching and effective! yes, bright colors are awesome! I guess everyone agrees...the color combo is great. The formula of the polish looks great too! 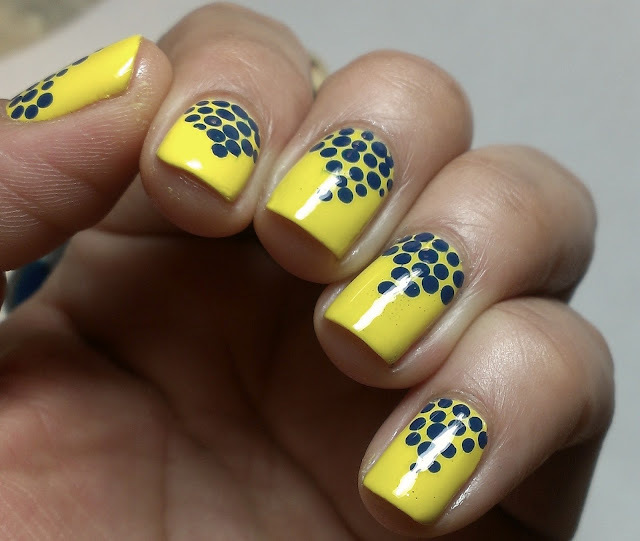 What a fun and bright manicure! i had to do a double take to see if it was really you updating ;) you've been gone for a while!! hope things are good on your side ;) loving your mani! Love the colors. I need to give this a try. 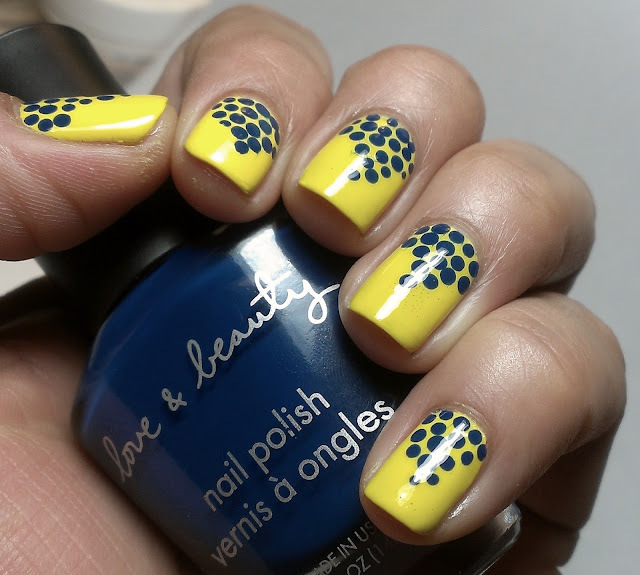 I love, love, love this mani!!! That yellow just says summer!! 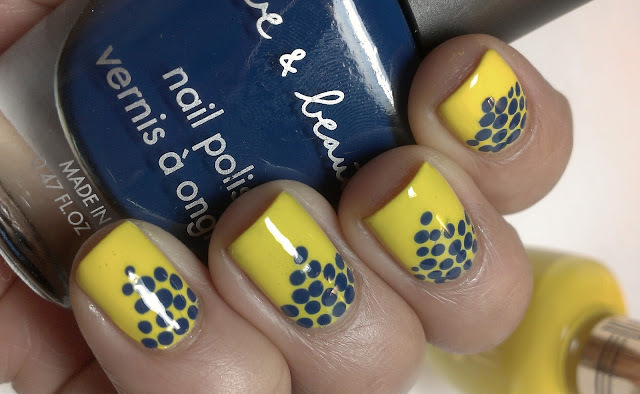 I love this color combo and the dots, so cute! This is fantastic!!! 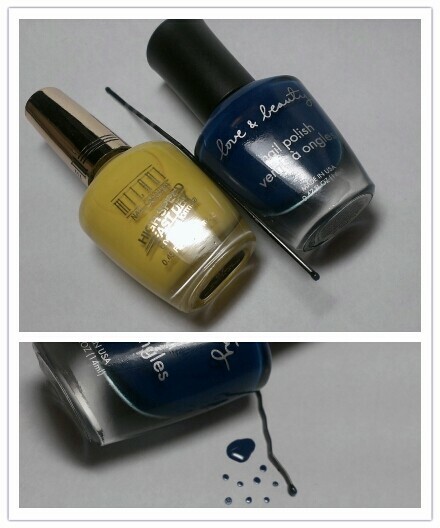 I love yellow and blue together! I LOVE your nails!! I never thought of using a bobby pin as a dotting tool! Great post!! Sooo cute. I bet this was fun to wear! very cute! i really love your nail shape, too! sooo pretty!! i love the color combo! gorgeous :) I love that you used a bobby pin!! wooohoooo I'm super cool huh.... hahaha it makes me thing of something else... too gross but its an awesome yellow! Bobby pin! Awesome! 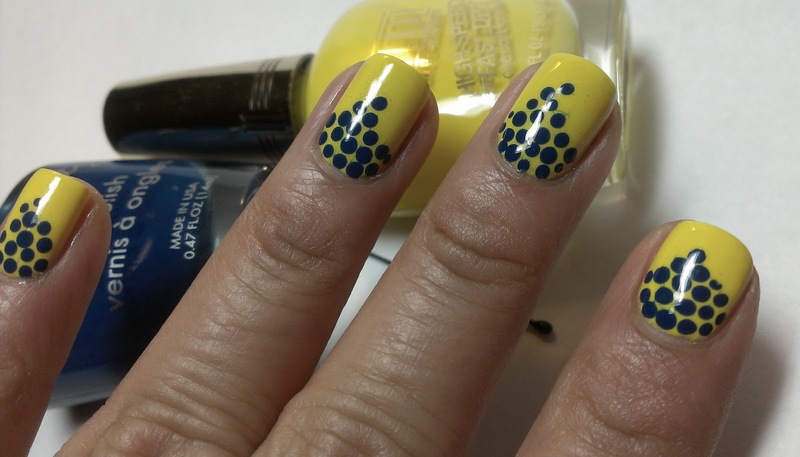 I've been wanting to do dots but thought I couldn't since I don't have dotting tools. Thanks for the wonderful tip!! 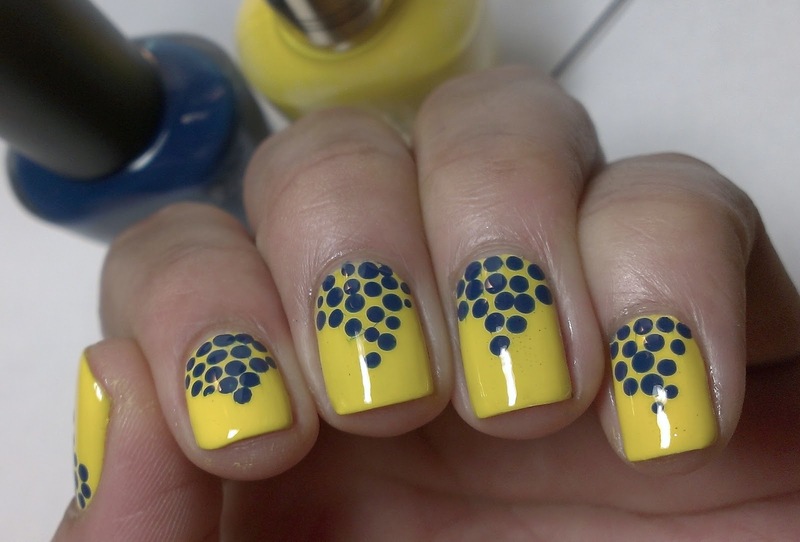 The dots are so cute!